Are All the Biblical Mesechs in the Americas? Our Bible and such Hindu books as the Ramayana and the Rig Veda are as much historical as spiritual. They are masterpieces of unusually accurate histories. The truths in the Hindu books are hidden under mountains of gobbledygook, which can become uncovered through proper understanding of what those books are all about. As for the Hebrew Torah, if a person will read it purely as a history book and not as a spiritual work, according to the way Orthodox Jews and cabalists read it, all mysteries will be cleared up. In my opinion, it is the most amazing literary work in the world and a lot easier to decipher than the Hindu holy books. So, let's get started! THE BIBLICAL PROPHETS DID NOT "PROPHESY." THEIR "PROPHECIES" DISCUSSED PAST HAPPENINGS, NOT THOSE OF THE FUTURE. The world-famous Swiss Rabbi, Alexandre Safran, describes what the word "prophecy" means to Jews who live by the Torah: "The Hebrew language has its own representation of the divisions of time. It proceeds to a curious grammatical representation. It transforms the future into the past and the past into the future. And the passage from one epoch of time to another is made by the simple addition of the letter "vad", which indicates the sumÃ– time, in its essence is unity." (La Cabala, p.101.) In short, when the Old Testament prophets "predicted," the "prediction" was not the future but past tense. When Ezekiel predicted what would or was happening to the Mesechs, Tubal, Gomer, etc., he was telling us about something that happened in the past. My bible concordance says they were the people inhabiting the mountains between Iberia Armenia, and Colchis ( today's Turkish republic of Georgia). More about them later. Genesis 10:2 says they were "The sons of Japheth; Gomer, and Magog, and Madai, and Javan, and Tubal, and Mesech, and Tiras." The Mesechs were the slaves of the Phoenicians. But they were glorified slaves. Their job was to procure and oversee slaves for the Phoenicians, teach them skills such as metal and gold working, and other crafts. They also bought and sold manufactured goods for the Phoenicians. The Bible confirms this: "Javan, Tubal, and Meshech, they were the merchants: they traded the persons of men and vessels of brass in thy market." (Ezekiel 27:13). WHAT DOES THE WORD Ã¬MESECHÃ® MEAN? In the Aramaic language that the Phoenicians generally spoke, MESHIKA, the real word for "Meshech," means Messiah. In Turkish, a similar word means "Mesi" or "Meshi." WHAT PAST HAPPENING WAS "PROPHESIED?" From Ezekiel 27 on, I will quote in passim. "There is Mesech, Tubal, and all her multitude; her graves are around about him; all of them are uncircumcised, slain by the sword, though they caused terror in the land of the living. And they shall not lie with the mighty that are fallen of the uncircumcised, which are gone down to hell with their weapons of war; and they have laid their swords under their heads, but their iniquities shall be upon their bones, though they were the terror of the mighty in the land of the living. Yes, thou shall be broken in the midst of the uncircumsized, and shalt lie with them that are slain with the sword." "Thou shalt fall upon the mountains of Israel, thou, and all thy bands, and the people that is with thee: I will give thee unto the ravenous birds of every sort, and to the beasts of the fields to be devouredÃ–.And I will send a fire upon Magog, and among them that dwell carelessly in the isles..."
GOG was the Turkish GOK khanate (kingdom). Gog supposedly extended from Siberia into China. 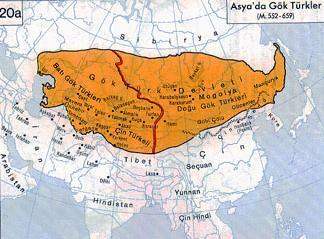 In the map of the domain of the Gok Turks, included in this article, Magog appears as Magoiya. WHAT PART OF THE WORLD WERE GOG AND MAGOG ENDANGERING? Ezekiel 18:18-12 tells us exactly what part of the world Gog was devastating at that time: "Thus saith the Lord GOD; It shall also come to pass, [that] at the same time shall things come into thy mind, and thou shalt think an evil thought And thou shalt say, I will go up to the land of unwalled villages; I will go to them that are at rest, that dwell safely, all of them dwelling without walls, and having neither bars nor gates, To take a spoil, and to take a prey; to turn thine hand upon the desolate places [that are now] inhabited, and upon the people [that are] gathered out of the nations, which have gotten cattle and goods, that dwell in the midst of the land." Ezekiel was discussing all of Central Asia, Northern India, and even farther south in India. (See Figure 2.) When we see the insecurity, depression, and poverty in today's Central Asia, Afghanistan and Pakistan, we find it almost impossible to believe that things were not always that way. In those days, the Turks (Aryans or Kurus) were much more highly developed and prosperous than they are today. The Pakistanian kingdom of Taxila was regarded as the cultural capital of the world. That whole area was "the United States" of its time. Even the nomads living in the Steppes enjoyed peace, happiness, and prosperity-that is, until the Mesechs decided to turn it into a wasteland. 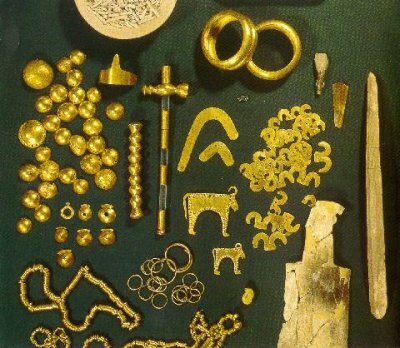 The following pictures of gold artifacts, which archeologists recently uncovered in Bulgaria, give an indication of how highly Central Asia was in ancient times. As you look at these pictures, keep in mind that they date from 6,000 B.C.- one thousand years before Noah and the Great Flood! WHY DID THE JEWS IN THE DIASPORA, ALONG WITH THE IRAQIS AND INDIANS, TRY TO DEFEAT AND DESTROY THE MESECHS AND GOG? Because the Mesechs were "good" slaves, lovingly working themselves to death for their Phoenician masters, the Phoenicians treated them as saints, just as moneyed people and employers in the USA love our own Mesech (Meshika) immigrants who accept slave wages and other indignities without complaining too much. However, the day came when the Meshika grew tired of their servitude. They rebelled against their masters and recruited surrounding savage hill tribes in Afghanistan and Pakistan to help them. In the Ramayana, these savage hill tribes were called Rakshasas and Pisacas. This rebellion finally spread to southern India, in the area of what is now Kerala. Kubera (our Heber or Khyber), God of gold and good fortune, who was really a Bulgarian, the country in which the preceding gold articles were found, captured as many as possible, deporting them to what is now Sri Lanka. He probably reasoned that if they could be taken out of their inhospitable mountain environment and taken to tropical, lush, and fertile Lanka, theyÃ­d settle down and behave. But they didn't. He then took them to Patala or what is now Meso-America. They have been here in America ever since. With the exception of Moscow, now just a Russian city, you won't find them in Central Asia and India anymore. To a man, they're all here!!! We of the Americas know them as MESHIKA (Mexican; MESHIKA is their Nahuatl name) and MICHOACAN in Mexico, MOCHE or MOCHICA in Peru, MOSKITO in Nicaragua), Here in the United States they are called MUSKEGAN, MUSKOGEE, MICHIGAN, MOHICA, etc. The Hopi origin myths speak of a MUSKI where they once lived. The Michoacanos of Mexico are especially interesting. The word Michoacan surely derives from the Turkic Meshech-khan or Mesech Khanate (kingdom). They are also called Tarasco and Purépecha. Tarasco derives from the Sanskrit Turushka, meaning "Turk." Purépecha derives from a name of the five Krishtayas (Aryan or Turkish tribes), meaning Puru-Pasha (Puru leader). Their origin myths state that they were from a place called NARAN-SHAN. In my research I found this NARAN-SHAN in Himachal-Pradesh, India. And I found out much more. The appearance of the inhabitants of Naran and their dwellings were almost exactly like those of the Tarascos. When Ezekiel spoke of Israel, he was not speaking of Middle-eastern Palestine. He lived in the Jewish Diaspora after Nebuchadnezzar removed the upper class Hebrews and took them to what are now Iraq, Afghanistan, and Pakistan. In fact, tradition has it that he is buried in Afghanistan. In Ezekiel 1:1, he wrote: "Now it came to pass in the thirtieth year, in the fourth month, as I was among the captives by the river of CHEBARÃ–" The Chebar river is the Khyber river. 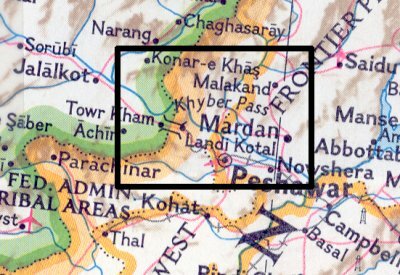 Khyber also spelled KHYBER, or KHAIBAR, is the most northerly and important of the passes between Afghanistan and Pakistan. According to Indian legends, some demon hordes called Mahesh-asuras and Mashishi once overran Kerala, India, decapitating the native inhabitants with their long machete-like swords. The deity Lord Ayyappa and his armies defeated these decapitator demons, killing the last of them beside the Pampa river. After that, he disappeared to parts unknown, never to be heard from again. Strange as it may seem, a deified leader named Ayapa-ek (spelled by the early Spaniards as Ai-apa-ek) suddenly appeared in South America as the Decapitator God and king of the ancient Moshica Indians of Peru. 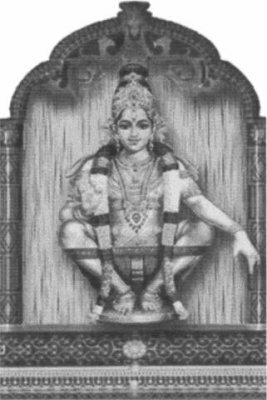 Notice the similarity of this name to the Sanskrit Maheshika. Also in the area there is a holy river named Pampa, as well as the ruins of Caral, which are older than the Egyptian pyramids. I am conjecturing that the archeologists studying the Moshica have somehow confused Lord Ayyappa with the decapitator demons. I believe that Lord Ayyappa led the surviving Mahishi to exile in South America. But why would he have guided the surviving Mahishi to South America after defeating them in India? Why are so many names in Peru and South AmericaÃ­s West Coast the same as in Kerala and other parts of India? The Inca culture and dialects bristle with strong evidence that they, too, were sons of India. The Incas told the Spaniards that they came from a country "straight across the sea." 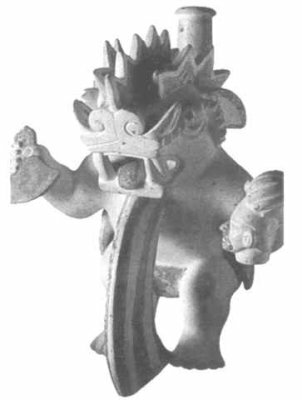 The Inca Sun God was named Vira Cocha. Its nearly exact Sanskrit meaning is Vira Kasha (Hero Leader). Another name of the Inca Sun God was Inti Rayma (Indus Rama). Their leadership castes were called Kechua (Keshva), Moshe (Mahesh or Shiva), Ayar (Immigrant); Aymara (Amara, a name of the Phoenicians. It also means "Home of Indra"). The different Kechua clans had names that were as Indian as curry and rice: Abishira; Abigers; Amuesha; Amoishe; Apurucayali; Cashibo; Cashnahua (Ship Chiefs); Moshe; Mischo Piro; Nahua; Maya; Mayo; Yava; Yagua; Yahwa; Suri; Asuri; Peeshak, etc. The last word, Peeshak derives from the Sanskrit Pisaca, a savage tribe of Mongoloid cannibals that lived in the Himalayas. 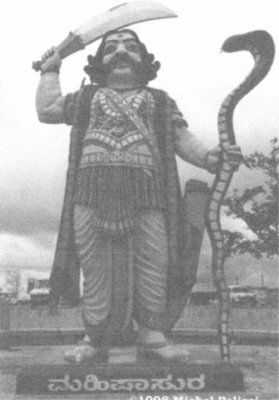 The Hindu myths state that Kubera banished many of them to Patala (America). About 1513 AD, a group of Spanish adventurers landed on the west coast of Central America, determined to find golden treasures and new lands to conquer for the King of Spain and the Catholic Church. One of these adventurers was a young man named Vasco Nuñez de Balboa. The Indians told them that in the high mountains lying westward there was a kingdom called SinË™, containing vast deposits of gold, silver, pearls, and other treasures. They also mentioned a much larger kingdom, Birú or Pirú, lying farther to the south. 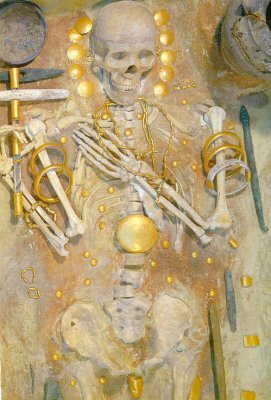 According to them, the graves of the Sinuans were filled with golden ornaments. The Spaniards decided to find that kingdom and empty those graves of everything except their skeletal occupants. Before leaving on their odyssey, the Spaniards summoned the chiefs of all the surrounding tribes, telling them that there is only one God and that in 1494, in the Treaty of Tordesillas, Spain, the Pope himself had awarded all these lands to the Spanish Crown. After listening politely to this speech, one of the chiefs stepped forward and said, "No doubt there is only one God, but the Pope must have been drunk to give away what was not his own, and the King of Spain must have been crazy to ask from him what belonged to others. We are lords of these lands and want no other sovereign, and if this king should come to take possession, we would cut off his head and put it on a pole." On November 28, 1523, the ships of Ferdinand Magellan, a Portuguese captain in the service of Spain, rounded the southern tip of South America, renaming the South Sea the "Pacific Ocean." Little did these adventurers know that what they called the Pacific Ocean had already been named The Indian Ocean (Mar Sinarum or Mar Indica) millenniums before by a partnership caste of traders and warriors from Northern India. This caste was called Kuberas or Khyberis. The subcaste (Jati) of traders was called Pani (Phoenicians); the warrior Jati were Yuddhis (Jews). In the beginning of their existence, the Jewish people were not a religion but a warrior caste, for Yuddhi means "warrior" in Sanskrit. They accompanied the Phoenicians during their trading expeditions, just as marines help protect our naval personnel on voyages. Back in ancient Central Asia, they were known as Chudes (pronounced as CHudees), or Tsoods. As partners, they were Hebrews, Khybers, or Kuberas. Thousands of years before the Spaniards whittled the Indian Ocean down to its present size, These Khyberis had named the western coast of South America Shinar. In his book, India in Greece, the famous 17th century oriental scholar, Edward Pococke, wrote that this word Shinar meant "the country of the people of the Indus." (p. 45.) The real Sanskrit meaning is Sena (People) + Ar (Settlement): Senar. Shinar or Senar was in reality Sinú without the "ar" ending. Seneru is also a little-known name of Mt. Meru. The Sanskrit word for "people" spread throughout both Americas. For example, the Hopi Sino, Mayan Cinta, and Nahuatl Sintle. As for Birú, we know it today as Perú. The first syllable of this word, Bir, is just another name of the Kuberas or Khyberis. U, which meant, "Lord, High, Superior, etc.," could have been correctly placed before or after Bir: Ubir/Birú. Either way, the meaning is the same: Ã¬The Lord Khyberis (The Phoenicians and Jews).Ã® The Old Testament mentions this empire of silver and gold as Ophir. CologneÃ­s Sanskrit Dictionary says the word Peru means "Golden Mountain." ItÃ­s also another name of India's mythical Mr. Meru. The Assyrians called them Musku. Herodotus writes of the Moschi (Moski). King Tiglath-pileser, mentioned in the Old Testament, tells in an inscription (ca 100 BC) that the Mus-ka-a-a were able to put into the field an army of 20,000 men. Josephus mentions Mosocheni (Mosokeni) and Mosoch. Moscow, Russia was named after them. In olden times, it was said that anyone encroaching on their home territories had to be crazy. Some Fundamentalist Christian preachers may disagree with my "identification" of the Mesechs. Many of them say that the Russians, Japanese or Arabs are the Mesechs. However, I donÃ­t see anything like "Mesech" in those names. The gospel truth is that Mesech = Meshika = Mexican!! PROOF THAT THE AMERICAN MESECHS ARE, INDEED, THE BIBLICAL MESECHS. 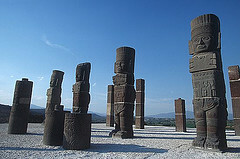 Tribes like the Meshika (Mexicans) and Mochica did not create original civilizations. In their own legends, the Meshika stated that they copied the arts of civilization from the tribes already in Central Mexico. I assume that they copied their civilization from the Olmecs because Olmec ruins extend from Southeastern Veracruz up to the Central Mexican state of San Luis PotosÃŒ. I have no doubt that with the passage of time, such ruins will be found even farther north. The Peruvian Mochica copied the Inca civilization. The Phoenicians did not generally call themselves "Phoenicians," Puni (Middle East and Europe) or Pani as in India. They were known as Khatti, Kad, Kad, Keth, Kuth, Cadmus, Cadmon, Qad (Egyptian), etc. The word derived from the Sanskrit Ketu, meaning, "chief; leader; eminent person." Commoners were called "Ka." Aztec or Toltec Gentility were called Mexicatl; Toltecatl; Aztecatl; etc. The others were just called Meshika; Tolteca; Azteca, etc. Just the name of the Nahuatl-speaking people implies that they were once sailors. The Aztecs or Meshika couldn't pronounce "V." "Nava," the Sanskrit word for "Ship," was pronounced as Nawah. Nauvata, which sounds like Nahuatl, meant "a ship or sailors blown by the wind god." Nauvac, pronounced as NAhwak in Nahutal, meant "a ship leading to Heaven." Another name of the Meshika or Nahuatl people was Anahuac, derived from the Sanskrit Anauvac, meaning "not on a ship to Heaven." Even among the American Meshika, it meant "Between Two Waters or Oceans." They definitely knew where they were! The Nahuatl language even has a word that indicates "people who sail:" pano, meaning "crossing from one side to another." That is certainly something the Phoenicians were accustomed to doing. The Aztecs called the Spaniards "Tule," meaning "Turks," for the ancient Turks lived in an area of Central Asia called Turan or Tulan. The Nahuatl-speaking peoples claimed they were from Tollan or Tullan. Meshika traders and merchants were regarded with reverence. They were called "Poshteca." This word derives directly from the Sanskrit Pustaka, meaning "people who increase, gain, acquire, wealth, property." In his book El OrÃŒgen de los Indios, the Spanish priest Gregorio Perez said that the Indians themselves told the Spaniards that all of North America was named Quivira (Khyber). I have even more proofs to show that our Meshikas (Mexicans) are, indeed, the Phoenician Meshika meant in the Bible, but I hope these will suffice. WHAT DOES THE FUTURE HOLD FOR TODAYÃ­S MESHIKA? Just as their forefathers did back in Central Asia and Northern India in ancient times, many Mexican-American activists and their Anglo-American turncoat allies are urging todayÃ­s Mesechs to rise up and take over this country. An estimated one million Meshikas a month are crossing into the USA. Could they ever defeat America? It didnÃ­t happen that way during Ezekiel's time. In order to determine whether they can win or not, we must remember what Rabbi Alexandre Safran said: about proper interpretation of "prophesy" in the Torah: "It transforms the future into the past and the past into the future." In other words, history always repeats itself. The Meshika will lose just as they did back in Ezekiel's time. As far as we "gringos" are concerned, we can end this invasion simply by just allowing them to come in as temporary guest workers for three to four years. Then, they will be required to go home and give someone else a chance to earn some money. Right now, the Meshika generally come in without any intention of going back home. With a temporary guest worker program, the money immigrants earn here would be spread out more equitably among the total population in Mexico, thus giving the Mexicans the capital they need to lift up their standard of living and end their near slave status in this country. Gene is author of the book, What Strange Mystery Unites the Turkish Nations, India, Catholicism, and Mexico? Ã± A Concise but Detailed History of Things Divine and Earthly. ISBN 0-595-39446-9. This article will become a chapter in a new book he is preparing about the Central Asian and Indian origins of our Amerindians. You may also enjoy other articles by Gene Matlock, such as Who Was Abraham? and Did Ancient Hindus Help Write the Bible? and Is the Hopi Deity Kokopili Really An Ancient Hindu God? or his best known article, Atlantis Is In Mexico.